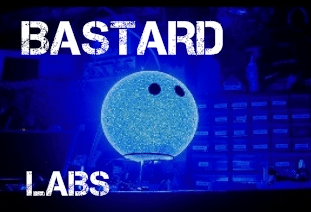 BBBastard is proud to announce another innovative product from BBBastard Labs. As part of our scouring the globe for new and innovative BB materials, we found some options that brought about the NITES product line. Now we have released another product based on the same technology. We have had thousands of requests for a BB that is .43g or better, with the same hi quality construction our Styrene products have. As part of that search we stumbled across these. Not the solution yet, but we figure we’d throw them our there and see if anyone would want to try them out! 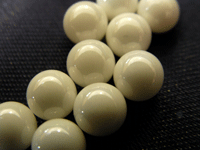 PEARLS are super heavyweight airsoft ammunition geared towards non-human target sniping competitions. Each BB (like our NITES Product) is CNC machined from a latice-based molecular material to achieve consistent size, shape and distribution to and overall accuracy of 2 microns. This is a new super heavyweight airsoft round for those snipers and purists walking way out past the edge. Take your high end rig to a whole new level. Our early adopters are getting great results with these out to 350 feet with their gas sniper rifles. Airsoft sniping competitions against non-human targets can now come a bit closer to realistic engagement distances. As they are made of a material that mimics the tiles on the space shuttle, PEARLS are so hard that you can capture them in a home setting and reuse them. The material they are constructed from ranks third in overall hardness (GPa) behind only diamond and boron nitride, so a quick wash and dry, and right back into the chamber they go. Perfect for accurizing your airsoft rifle.